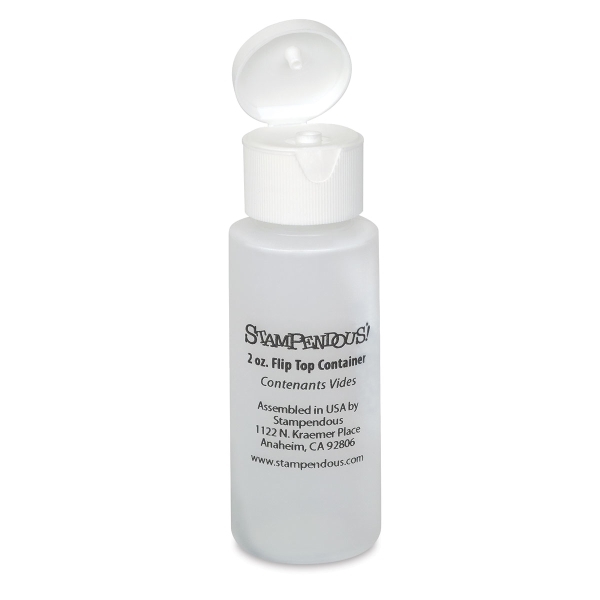 Infinitely versatile, Stampendous Plastic Applicator and Storage Bottles can be used for a variety of techniques. The clear containers are great for organizing and storing liquids, glues, paints, and powders, too. Available in flip top, needle tip, and spray bottle styles. Apply just the right amount of your favorite adhesive or paint. This 2 oz flip top bottle is also a good size for traveling with your supplies. ® Stampendous is registered trademark.